Cathedral looming in the background. 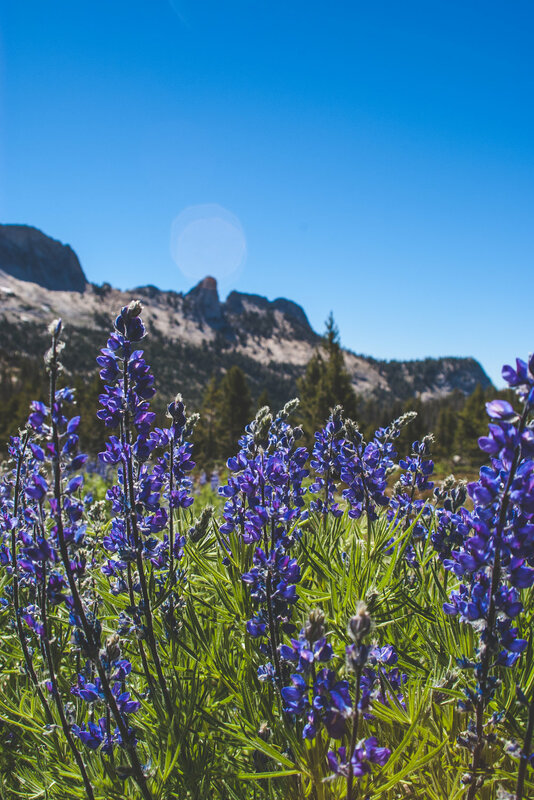 On the last day of acclimating, Augie and I trekked through the meadow, past the Cathedral and down into Tuolumne Meadows. "High-octane" photo taken from the tent right after waking up. Sitting next to a fire and drinking a Bud Light is a good way to end what has been an excruciating 3 days. We only went 10 miles today but together with the previous two days, it took its toll. The view of the day was at Cathedral Lake. 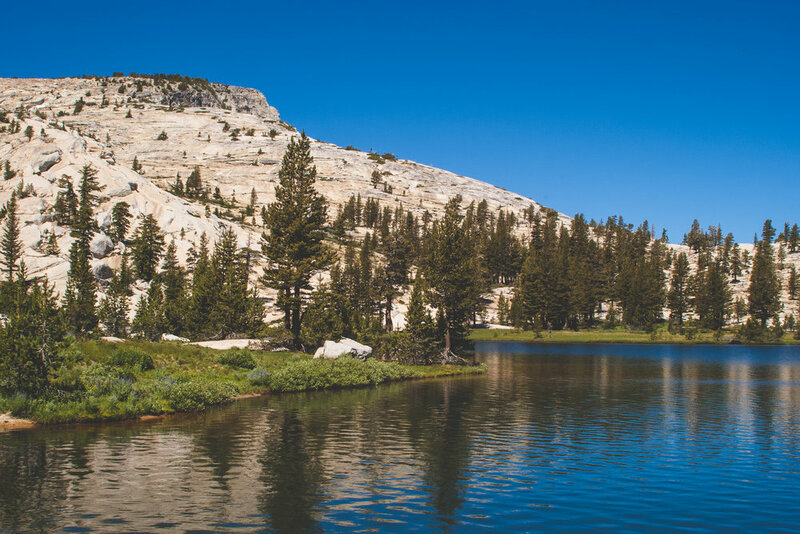 A beautiful, crystal clear mountain lake, this body of water was surpassed only by looming figure of Cathedral Peak. 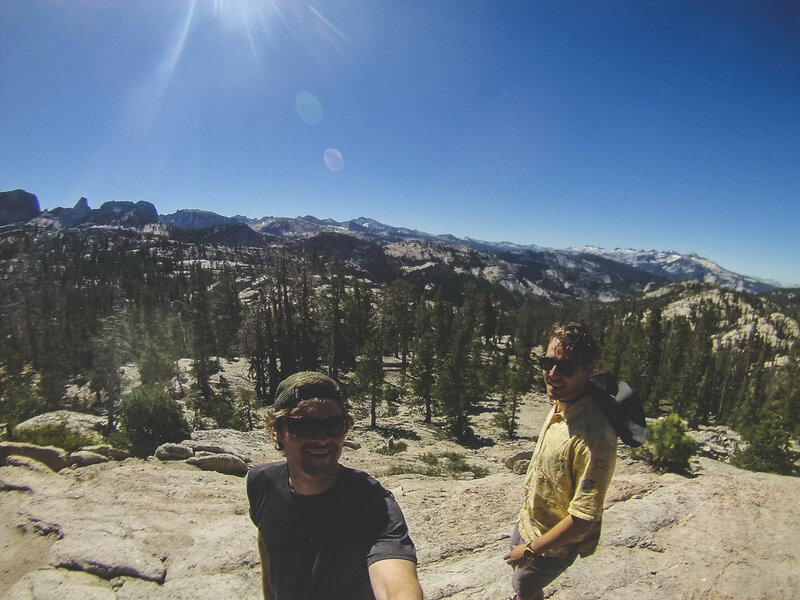 We made it to Tuolumne Meadows around 2 o’clock and promptly munched away at some chips and dip, danishes, and a double cheeseburger. The cheeseburger was most welcome. Shoutout to the family who gave us homemade cookies as we exited the trailhead into Tuolumne. I bought a six pack of Bud Light and we’ll probably go to bed early to hit the trail early. Tomorrow we begin our ascent of Donohue Pass. Once we go over the pass we will be out of Yosemite. 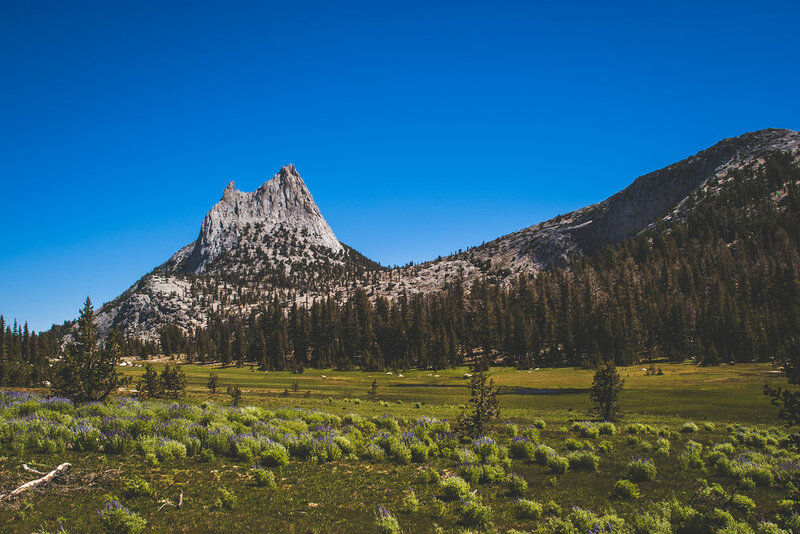 Although the climb out of Tuolumne would be tough, we went to bed well hydrated and well fed - about all you can ask for on the John Muir Trail.